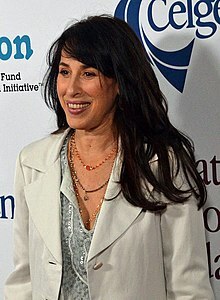 Maggie Wheeler (born Margaret Emily Jakobson, August 7, 1961) is an American movie and television actress. She is best known for her role as Janice Litman Goralnik on the sitcom Friends. She was born in Manhattan, New York on August 7, 1961. Wheeler is married to Daniel Wheeler. They have two children together. This page was last changed on 6 July 2017, at 00:24.